We don’t upload blah to Facebook. If you’re going to use social media to accomplish anything of value, you must have a Talk Trigger that rousts your advocates from their naturally drowsy state, and gets them typing concise messages of adoration. But the paradox is that Talk Triggers for social media most often occur offline, not online. The great meal, the over-the-top customer service, the killer swimsuit, the uber-friendly accountant…..all of them manifest in the real world, not the virtual one. We use digital to communicate analog. In fact, Keller Fay Group estimates that 91 percent of word of mouth about companies occurs offline, meaning that we only use social media to discuss things that REALLY make us want to shout or cry, not the mundane victories and defeats we experience with brands every day. 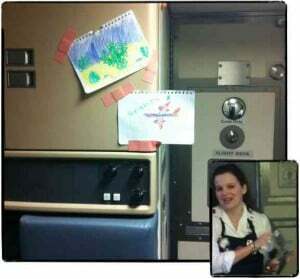 This happened to me a few months ago when a Southwest Airlines flight attendant made a young boy’s day by taping his crayon drawings to the front of the plane, and congratulating him publicly. It was one of the warmest, most genuine things I’d ever seen. I live blogged it (viva in-flight Wi-Fi), and it became a popular post here at Convince & Convert. Southwest subsequently wrote about my post on their blog, and also mentioned it in the in-flight magazine months later. The flight attendant was congratulated in the employee podcast, too. The spontaneous Talk Trigger was the actions of the flight attendant, and it created a lot of chatter and advocacy. 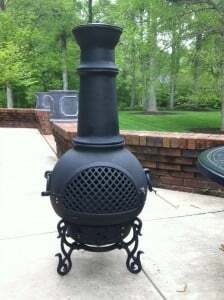 To warm the cool-but-still-pleasant nights spent on the patio of Convince & Convert global HQ in Bloomington, Indiana the missus and I decided to purchase a chiminea. 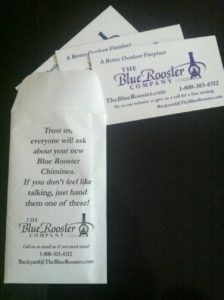 We settled on Blue Rooster based on reviews, size, and style. It showed up on time, was higher quality than anticipated, easier to assemble than feared, and worked better than hoped. It’s awfully hard to be great online if you’re less than great offline.